This little box connects to your circuit-breaker panel and identifies energy hogs in your home. The surge of interest in the Internet of Things (IoT) market has led to a deluge of smart home devices, but it’s still very much a modular segment. What I mean by that is you might own a connected thermostat from Company A and a smart lighting system from Company B, along with various Internet-enabled appliances that do everything from cook a succulent steak to brew the perfect cup of joe. There’s nothing wrong with that approach, but when it comes time to keeping track of the energy use of each device, it’s a juggling act, and that doesn’t even take into account non-connected devices. Enter Curb, a whole-home energy-intelligence system that monitors all the electronic gadgets you own through a single piece of hardware. Once connected to your breaker box, Curb’s sensors get busy identifying the unique electrical signatures of each electronic device in your home. It uses software algorithms to detect how much energy different rooms and individual devices use in real time. For example, Curb knows when the kids turn on their videogame console or someone forgets to turn the bathroom fan off. The data Curb collects is pushed to your iOS or Android device so that you can see and manage your electricity usage. It essentially offers a much more detailed energy breakdown than what you receive from the power company, which is typically just an overview of how many kilowatts you consumed in a given month and how much you owe. Even though Curb is easy to install, from a safety perspective the company recommends using a professional installer due to the presence of high voltage. 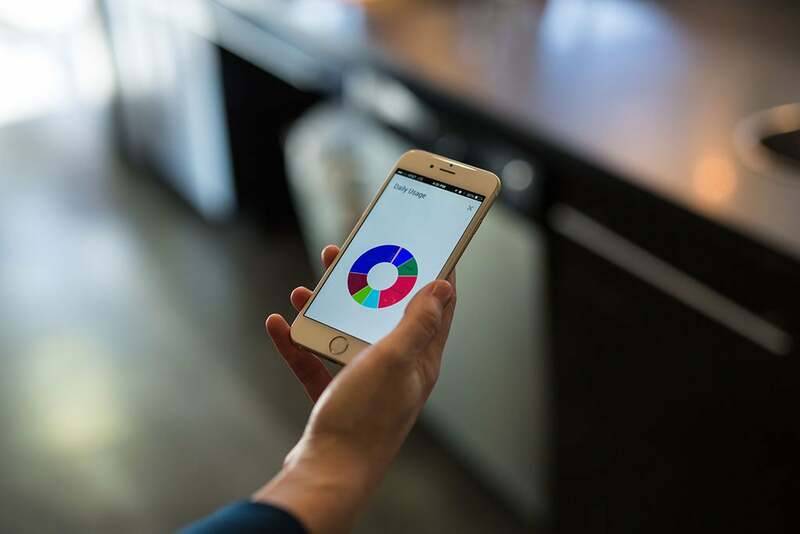 Curb’s mobile app lets you view trends and historical data. It also gives you recommendations on how you can reduce your energy bill, both through product upgrades and by suggesting behavioral changes, and will estimate your monthly energy costs. Many individual smart devices do the same thing, but where Curb is different is in being able to monitor your entire home, including devices that aren’t connected to the Internet. Your smart oven can’t do that. Why this matters: Curb is a unique product that attempts to bring order to a somewhat disorderly market. Without it, home owners are forced to fire up multiple apps to piece together an outline of their monthly energy use, and that’s only for smart devices. There’s definite value in what Curb offers, and there’s not really anything else exactly like it on the market. The closest competitor is probably Smappee , which also hooks into your breaker box and purports to reduce a typical consumer’s energy bill by 12 percent. Curb acknowledges that it’s not the first home energy-monitoring system, but claims it’s the most advanced one out there. On Curb’s Indiegogo page, the base model goes for $249 and monitors your whole home and four additional appliances or zones. Curb tells me it’s designed for apartments and smaller households that are less than 800 square feet. For bigger homes, there’s a professional model that runs $349 and ups the ante to 16 additional appliances and zones, while a $649 Pro Duo SKU includes two Pro units for very large homes with two electric panels. Sounds interesting, though it left me wondering things like how the algorithm works and how robust the compatibility is with existing smart platforms. I spoke with Curb CEO Erik Norwood about these and other topics, and here’s what he said. TechHive: Is there anything else on the market that does what Curb does, in the same or similar manner? Erik Norwood: What we’ve built at Curb is pretty unique, in that the product gives homeowners both a holistic and granular view of what is going on in their home and tells them exactly how to save energy, all in real time. By comparison, other products in the home automation market focus on just a single outlet, light or thermostat. Unlike other smart home or energy devices currently on the market that just provide data via an associated app, Curb gives you actionable data. Ultimately, it’s not about the data but what can be done with it to solve real customer pain points and give consumers the convenience, control, and efficiency they want from a smart home. While Curb isn’t the first home energy-monitoring system, we’ve combined the most advanced hardware (monitoring up to 18 circuits per device) with a software suite that provides real customer value. Specifically, Curb’s software combines an alerting system with a robust recommendations engine, so that customers have tailored advice about how they can save and when they’ve accidentally left something on. TH: How difficult would it be for an average Joe/Jane to install Curb? 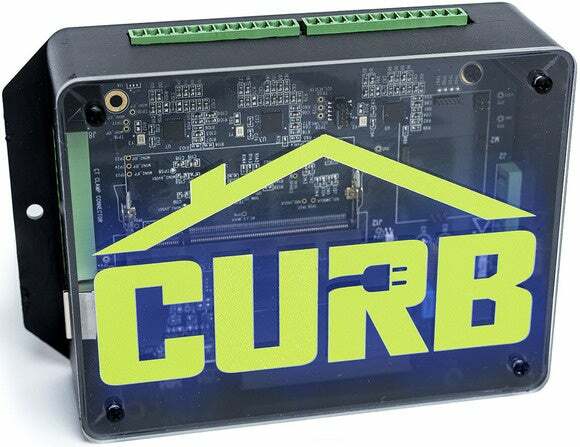 EN: We designed Curb to have a simple and quick installation and incorporate sensors that easily snap right around each of the circuits in the electrical panel. That said, from a safety perspective we do recommend professional installation through either our Curb partner installers (continental U.S.) or by your local electrician. Curb’s mobile app pushes notifications about energy usage and energy saving tips to your iOS or Android device. TH: What do you estimate a typical home could save by using Curb? Are we talking tens or hundreds of dollars annually? EN: The amount that a home typically saves can vary significantly, but we’ve had customers that have saved hundreds of dollar in just a few weeks because they discovered appliances wasting significant energy. On average, studies have shown that homeowners save anywhere between 10- to 20 percent of their electricity bill if they have greater understanding of where that energy is going. Curb takes that information a big step further by telling customers specifically how to save and when there is abnormal energy being used. TH: I see that Curb is compatible with SmartThings, Autodesk, TreeHouse, and Samsung? Are there any other companies Curb is working to support? What about Nest? EN: Yes, through partnerships with other products and platforms Curb becomes more powerful while simultaneously enhancing these other products. The partnership through SmartThings and Samsung helped bring device control to Curb customers and energy data into the SmartThings platform. We are currently working with a variety of other organization to build greater inter-connectivity between products based on the feedback and demand we are getting from customers. Specifically, Curb is part of the Nest Developer Program, and will be providing additional details on features and additional partnerships coming soon. TH: Can you tell me a bit about the algorithm? What does it look for, and how does it differentiate between a lamp being turned on in the kids’ room versus using a microwave in the kitchen or a refrigerator door being left open? EN: Since Curb measures up to 18 circuits in the home, the system is able to show total home consumption (2 sensors) and then slice the rest of the home into 16 specific zones or appliance. In this example, when the light goes on in the kids’ room you would see an increase on the Curb app for that particular zone of the home. Curb also has a patent pending system for identifying abnormal energy usage which is triggered by something like a refrigerator door left open and shows up as a push notification in the Curb app. These are both features that are currently available in the Curb system. Over the longer term, the Curb system will also have the capability to identify how much power different devices on the same circuit use because each devices has a unique electrical fingerprint. The current Curb hardware already has this capability built in, and we are continuing to refine the data model with additional customers. TH: Lastly, any plans to release an app for Windows Phone/10? EN: We want to make Curb accessible to customers no matter the platform they use, and we build for platforms based on the customer demand we see. We have looked into the Windows phone platform and will be accessing this platform as we continue to grow.